Share book reviews and ratings with Ange, and even join a book club on Goodreads. I do not promote get rich quick or silver bullet or magic pill products... 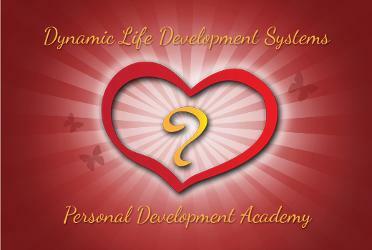 Dynamic Life Development Systems are intended to help you develop yourself and share your message with a wider audience and to make a difference in the world while growing and adding value to your own life... relationships... career or business while adding value to serving others. As stipulated by law... I can not and do not make any guarantees about your ability to get results or earn any money with my ideas... information... tools or strategies... after all it takes hard work to succeed in any type of relationship... lifestyle... career and business. In fact... it takes hard work to succeed at ANYTHING in life... try learning to play the guitar without putting in any work and see how that goes! Your results in life are up to you and the amount of effort and resources that you are willing to put into succeeding.... I want to help and support you in succeeding by giving great content... direction... methods... strategies that move you forward. Nothing on this page or any of my websites is a promise or guarantee of results or future earnings... lifestyle and relationship success and I do not offer any legal... medical or tax advice... any financial numbers referenced here or on any of my sites are simply estimates or projections and should not be considered exact... actual or as a promise of potential earnings... all numbers are illustrative only. Those who do implement the methods... the tools and techniques I share with them while working with me in Dynamic Life Development Systems and make use of the direct coaching I providedo acquire great results and create a fulfilling and wealthy life style for themselves! I think and feel transparency is important and I hold myself and you to a high standard of integrity and Excellence! The information shared by Ange Fonce Publishing is for education and entertainment purposes only... you are still responsible for your own actions... I will only take credit when good things happen for you... you are most welcome to share ideas with friends and discuss content and you can share content to friends partners and associates... it shows me that you trust me enough to share what I offer to your friends and that is a good thing... you cannot LEGALLY sell any content owned by Ange Fonce Publishing 2007.... 2017... regardless if it is Free or paid for content by you.